Mmm, sounds great. I really want this book. I've been hearing a lot about the great writing and I'm really curious by now. Great review! This book has gotten so many good reviews! I am glad you liked it :) Awesome review! 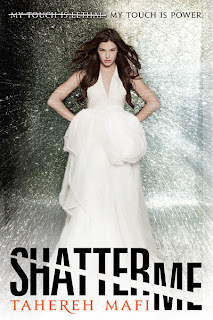 I really enjoyed Shatter Me. It is definitely one of my favorites of 2011!